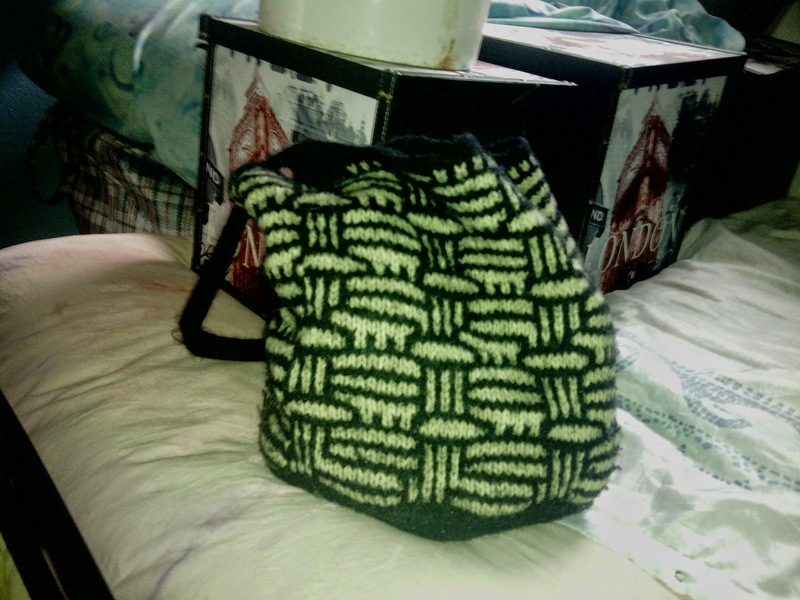 A hand knit and felted tote bag. Lately I have been selling a few of my hand knit and fulled/felted bags and I have run out of pure wool yarn in base colours (black, brown and grey). Looking around my bomb site of a craft room I spied my fibre cupboard and found about half a fleece of old merino (probably from a sheep long departed) and decided to clear some room for more fibre, spin some yarn for knitting bags and tie up all available free time for the foreseeable future in one neat package; I will wash, spin and dye the old fleece. So I invite you to join me in the adventure. Dusty and dirty bag of wool. A memory of a sheep long past. 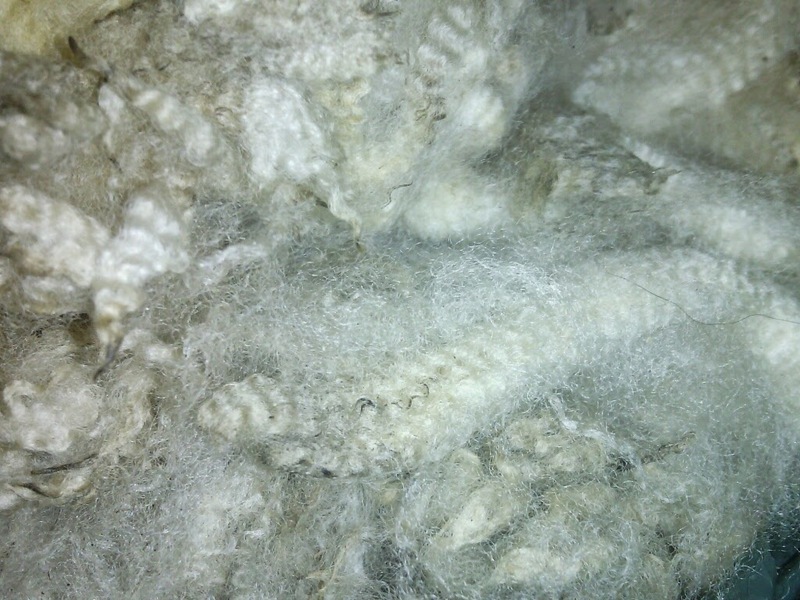 Merino wool is known for its crimp, or the number and size of the waves in the wool. 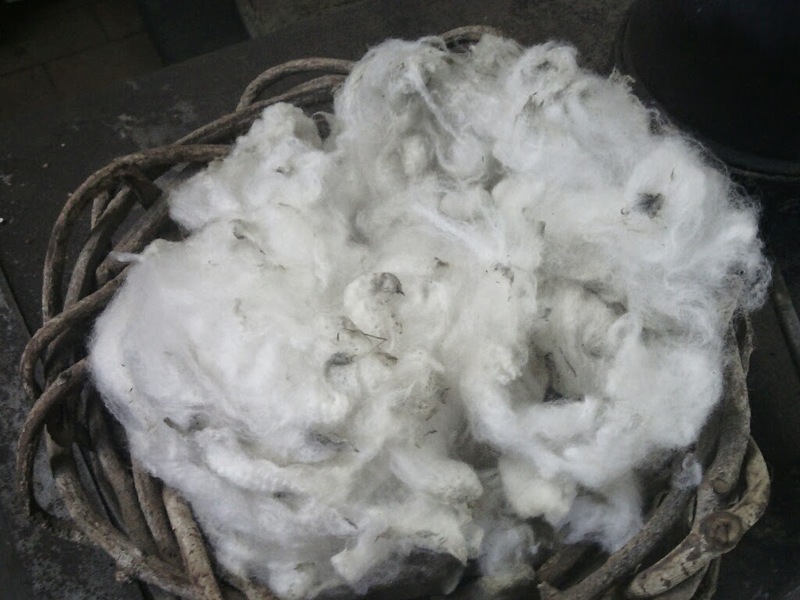 Before wool diameter could be measured with lazers (microns) it was common to judge the quality of a fleece by the number of crimps. 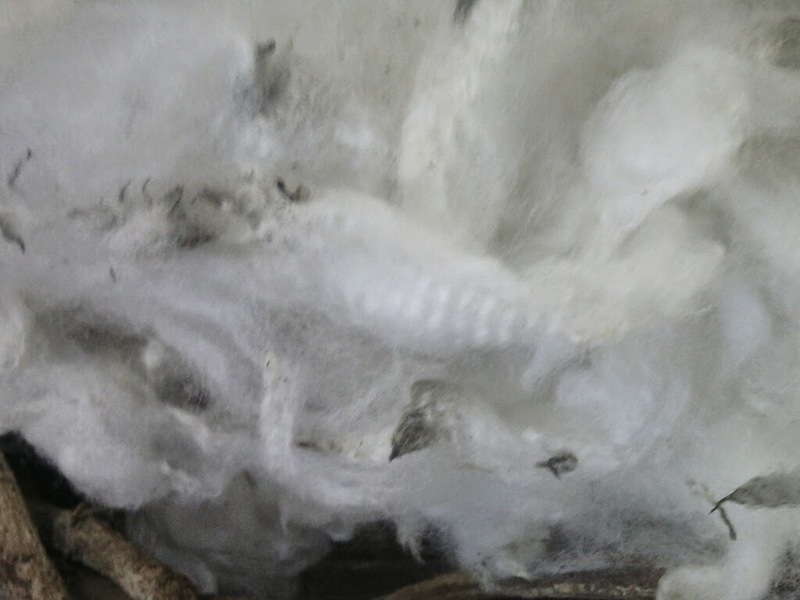 Close up you can see the crimp in this fleece (and the dirt and vegetable matter). This was obviously an aristocratic sheep. 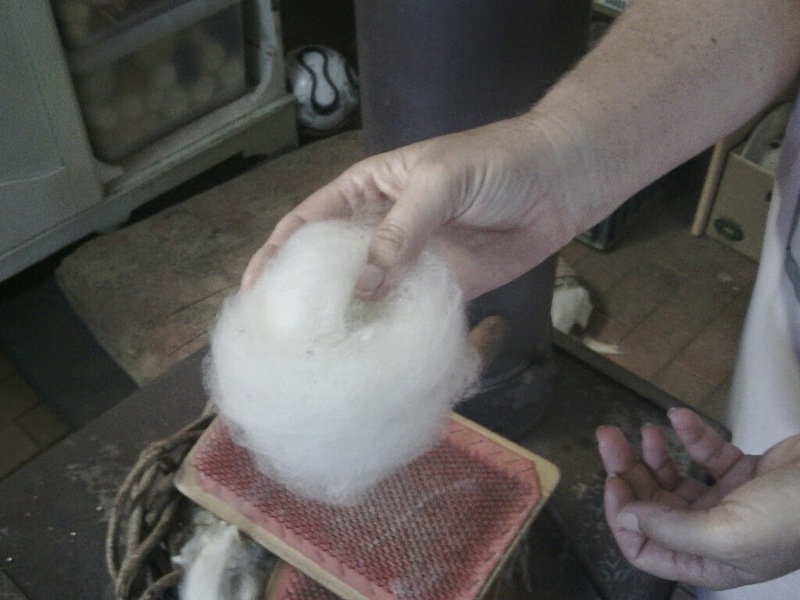 I wash the wool before spinning, although many people spin ‘in the grease’ and wash the yarn after spinning. I like the feel of the clean, soft wool slipping between my fingers so it’s worth the extra work for me. 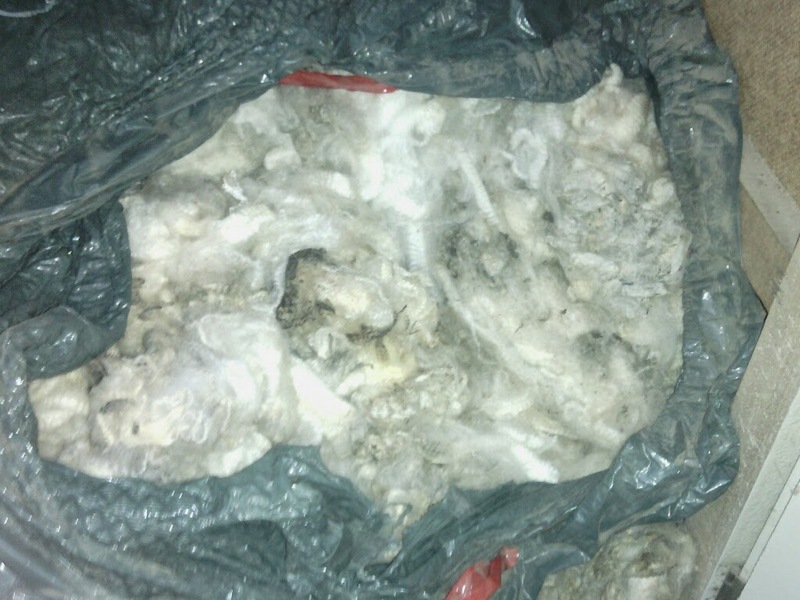 Washing or scouring wool is easy; all you need to do is soak the wool in detergent (I use cheap shampoo) and fairly hot water. At this point you have to be careful not to felt the wool by changing the water temperature suddenly or agitating it too much. I use a small tub and wash about 100g at a time. That way I don’t waste too much water as I wash the spun wool yarn from the last batch first (to set the twist) then I soak the next lot of wool for spinning. 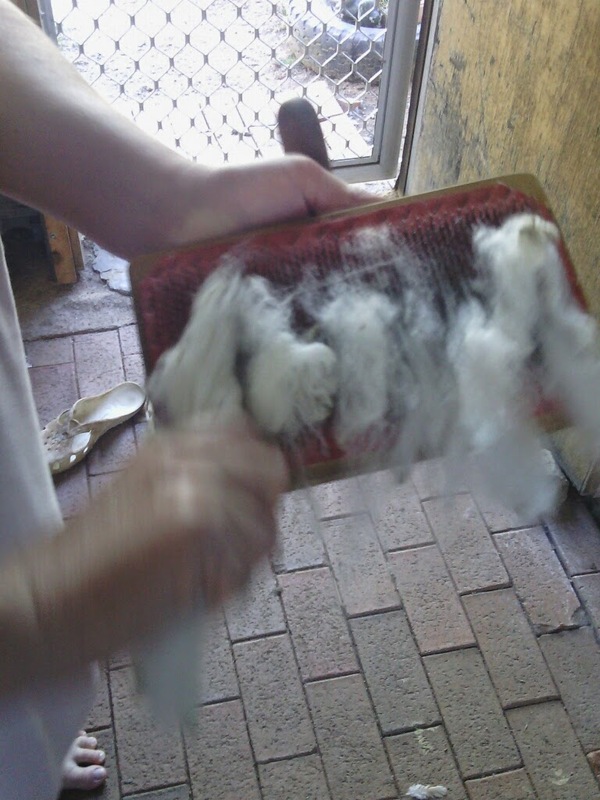 I spread my wool out on cake racks to dry before spinning. 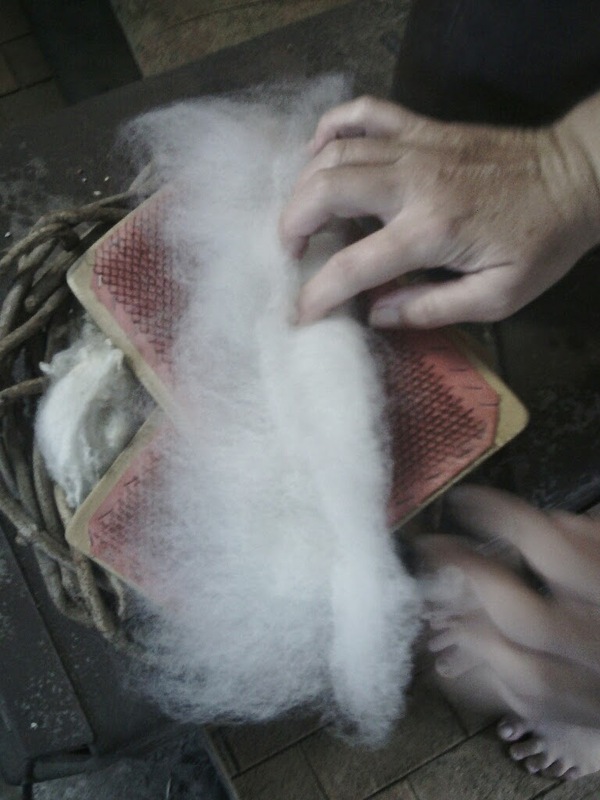 A pile of washed wool, ready to card and spin. You can still see the crimp in the locks. Now it’s time to card the wool into usable rolags (a rolag is a little roll of carded wool). I got my carders second hand with my wheel. They work really well and probably will continue to be usable for several more decades. 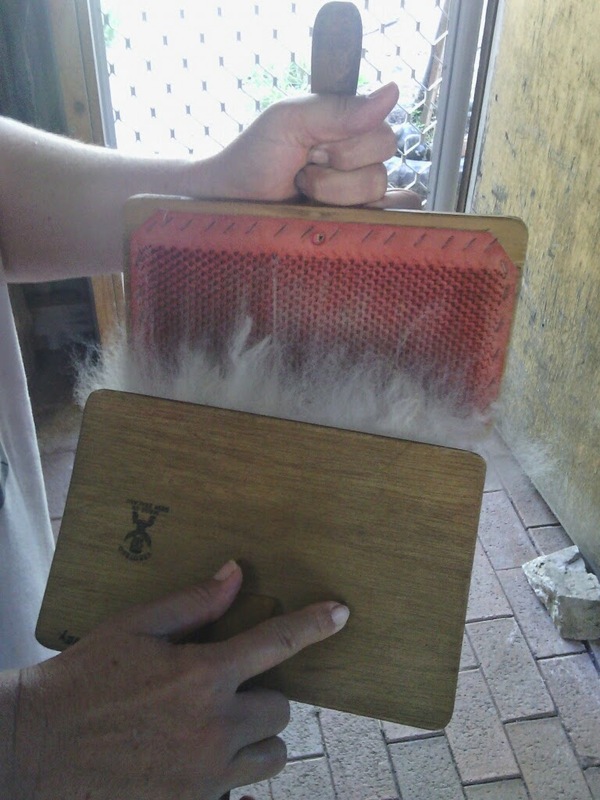 Carding involves moving the wool from one carder to the other while combing out the vegetable matter and knots. And finally curled up to be stored as a ‘nest’. Next step is to spin up a reel of singles….but that’s a story for the next post. See you then.